The biennial conferences of the American Society of Health Economists have become the premier health economics conferences in the U.S. The upcoming 6th Biennial Conference, hosted by the University of Pennsylvania and Penn’s Leonard Davis Institute of Health Economics, should continue to build that reputation. We are expecting nearly 1,000 attendees for the biggest meeting in ASHEcon’s history. We are planning two outstanding plenaries on the theme of New Frontiers in Health Policy and Health Care. The American Society of Health Economists (ASHEcon) is a professional organization dedicated to promoting excellence in health economics research in the United States. 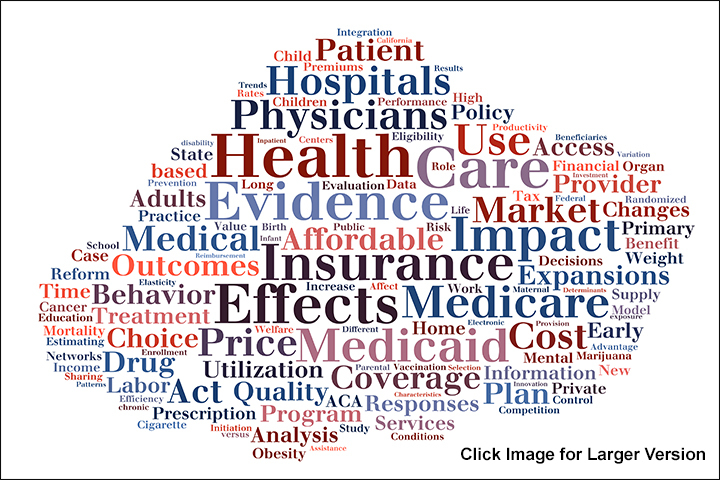 ASHEcon provides a forum for emerging ideas and empirical results of health economics research. The major activity through which ASHEcon achieves its mission is conducting a biennial meeting in the US. ASHEcon is governed by a Board of Directors comprised of a highly distinguished group of health economists from all parts of the United States. The University of Pennsylvania’s Leonard Davis Institute of Health Economics was founded in 1967 and is approaching its 50th anniversary of catalyzing and facilitating research at Penn to improve the nation’s health system. Join ASHEcon or renew your membership online. Join the conversation about ASHEcon 2016 on social media! Stay informed, contribute ideas and meet new colleagues. How? On LinkedIn, join the ASHEcon LinkedIn group. On Twitter, start using the conference hashtag #ASHEcon16 and follow @AsheconTony, @PennLDI and @healthecon_dan for the latest on the conference and all its happenings.